One of the amazing things about practicing yoga is the search for peace. Through the practice of yoga, mindfulness and meditation this is one goal I believe we can all agree one. This, to me, is the absolute most amazing, mind-blowing, game-changing aspect so many do not realize is about to occur when they begin their yoga practice. When people were mad at me, it hurt me, and I would constantly seek how to fix it, even if I had not done anything or did not know what I did. When people did not like me, I wanted to fix this. When people spoke bad about me, I could not let it go and I allowed the words to cause me pain over and over. The list of scenarios goes on but, you get the gist, it effected me. After a couple of years of practicing yoga, I noticed something BIG. When these scenarios would come up, I would acknowledge them and then… I would let them go! Bye-bye bad vibes, hello peace. If someone wants to go out of their way to hurt me, that is ok. 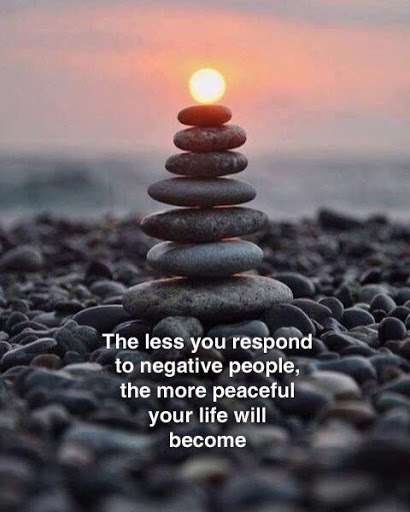 I am sorry that they are putting so much energy into negativity but, I will no longer allow it to cause me negativity. My mind will no longer be in turmoil over something which I cannot control. Letting go of things can be hard. I have learned through my practice to leave the past behind, I cannot change it. To stop worrying about the future, it is not yet here. Enjoy this present moment, for I will never be in this moment again. I truly find peace when I remember this. Next time someone or something is hurting you, say a colleague is treating you in a mean way, go do something positive for someone else. Stop the negativity train and find peace knowing you acknowledged this, you did not let it affect you and you put a smile on someone else’s face.